Plot with planning permission for erection of 3 bdrm dwellhouse with garage. Services available. Price over £145,000 Entry by arr. Viewing contact solicitors. 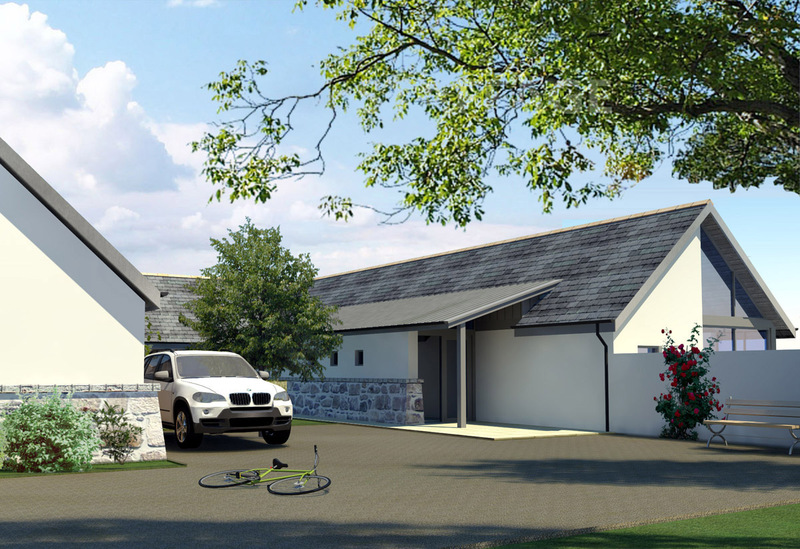 The Grange at Jackstown is an exclusive development of three house plots/new build houses providing a rare opportunity to purchase/build a contemporary, sustainable and comfortable luxury family home in rural Aberdeenshire. 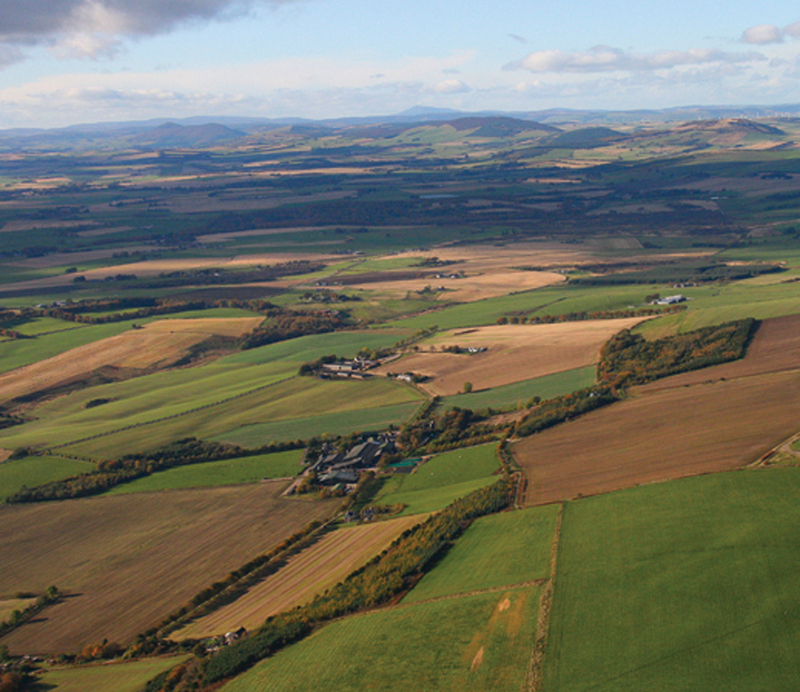 Each of the three generously sized plots extends to over half an acre or thereby and enjoys wonderful views over the rolling countryside including Bennachie and woodland towards the coast. Jackstown was formally a dairy and arable farm and the seller is Mackie’s of Scotland, a family business which makes ice cream on their neighbouring dairy farm at Westertown. The Grange at Jackstown is situated on a hillside a short drive from Rothienorman and Oldmeldrum, both charming rural villages designated as Conservation areas. Other local villages include Daviot and Fyvie, and so the area is well served with schools, local shops, services and restaurants. The larger town of Inverurie is only 9 miles away and offers a wider range of local and national shops, services, pubs, restaurants and leisure pursuits including swimming and bowling. There is a primary school in Daviot with secondary education available at Meldrum Academy. Inverurie railway station has an excellent rail service to Aberdeen (only 20 minute journey) an easy commute for schoolchildren attending one of the schools there. The properties will enjoy the idyll of countryside living with wonderful views and many outdoor pursuits are readily available in the area – including golf, horse riding, hill walking, fishing, shooting and coastal walks. There are several local golf courses, including an 18 hole championship golf course and 5star hotel at Oldmeldrum, Links course at Cruden Bay and Trump International at Balmedie. Also within easy driving distance lies the thriving city of Aberdeen (26 miles) and the airport at Dyce, in addition to the excellent rail and bus links from Inverurie. Aberdeen is a vibrant centre with popular shopping centres, a variety of restaurants, bar and clubs, universities, entertainment and culture – music hall, theatres and cinemas, in addition to a busy beach front. 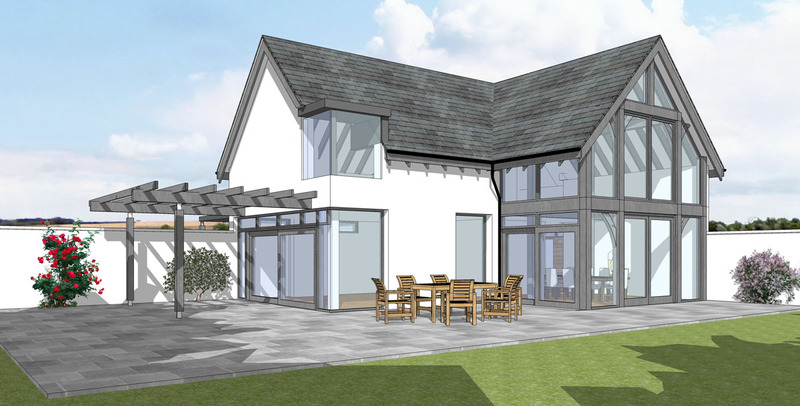 The proposed detached dwellinghouses have been sited to maximise the views and privacy. 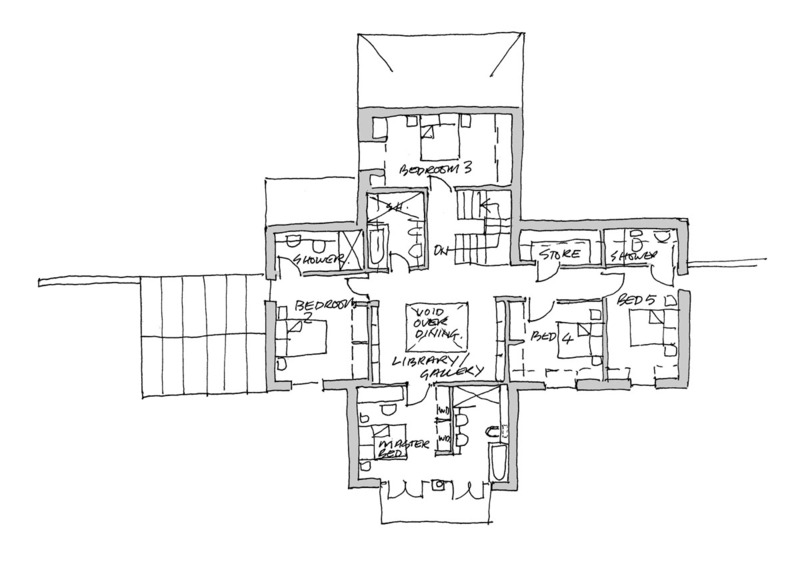 Each has master bedroom en-suites with dressing room/wash room facilities, south-facing glazing with north-facing openings, options for open plan living room and interesting spaces for books/artworks and the like. It is proposed to use a range of natural materials including slate, dry-stone walling, pale wet-dash render, home-grown timber cladding and painted timber windows and doors. Garden rooms, or even whole dwellings, would feature solid timber flooring in oak or douglas fir. Boundaries would be elegantly landscaped and planted to age gracefully and screen neighbouring properties without the need for tall fences. It is intended that the finished dwellinghouses are environmentally friendly. Renewable measures, including heating and hot water, will be supplemented by a wood bruning stove in each dwellinghouse. Furthermore, the houses are to be super-insulated with low “U” values well beyond that required by our current building standards, possibly incorporating solar panels to the garage roof areas depending on specification. Notwithstanding the orientation of the properties, a southerly aspect is provided to all three properties. None of the properties are overshadowed and all plots have fine views over the surrounding countryside. The plots will be well screened from each other and surrounding properties. 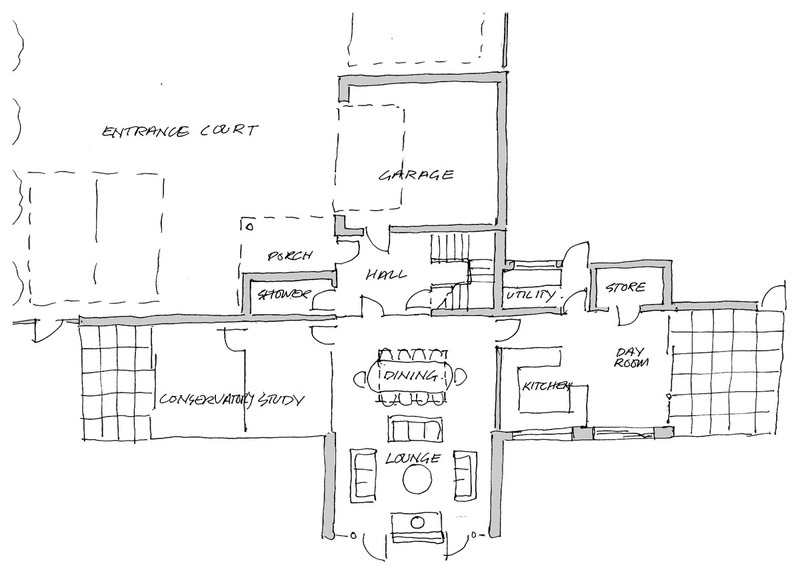 Courtyards are to be formed between the garage and dwellinghouses with covered entrances and shelter from any winds. Power, water and telephone lines will be provided to the site boundary; the water will be fed from a private water supply. Details available on request. NB Drainage will be by an individual septic tank within each site boundary. A modern take on traditional steading, 4 bedrooms family home offers generous south facing, double height living accommodation, with fine southerly views and mature trees and attractive countryside beyond. The plot extends to approx. half an acre offering mature countryside living. 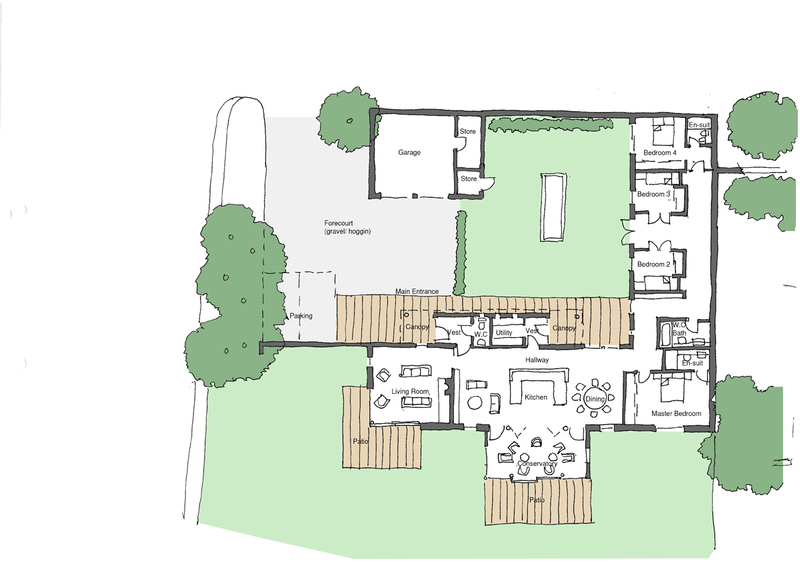 Accommodation on a single level extends to some 283m² with an additional 45m² for the garage. Architects Michael Gilmour Associates, the award winning practice, are based in the West End of Aberdeen. The practice specialises in carrying out design-led projects with an emphasis on sustainability. 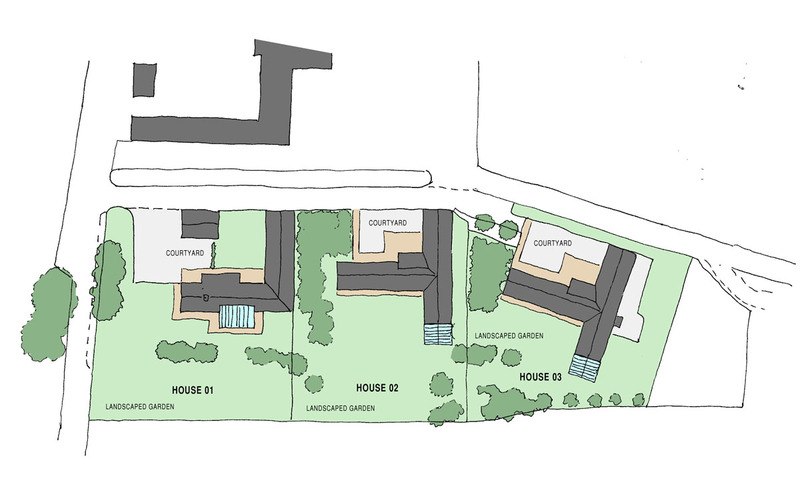 Planning Full planning permission – APP/2012/0579 – was granted on 19/07/13 for the erection of three dwellinghouses with garages. Copies of our planning permission can be seen online at Aberdeenshire planning or are available from selling agents. 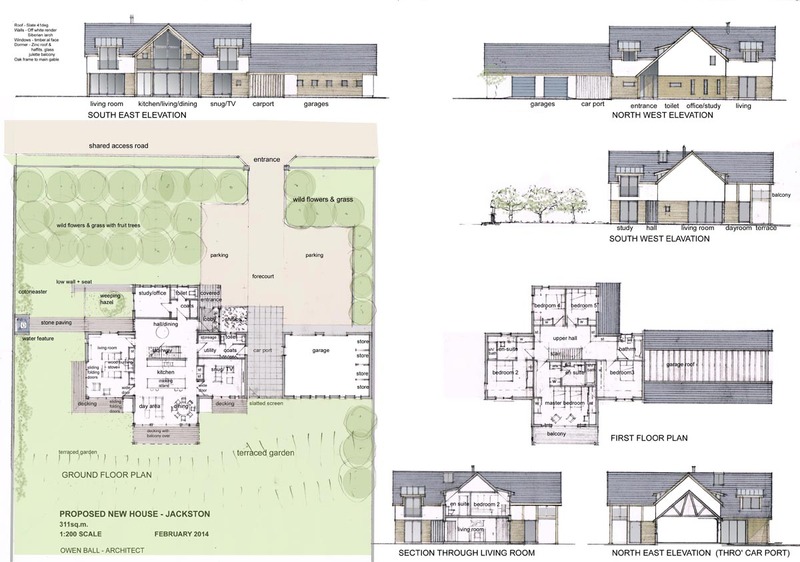 Further Options: The existing planning permission is for the house described above but it may well be that potential purchasers of the sites may wish to consider a different design. Details of alternatives such as the Bruntwood or Watch Craig may be viewed on the dedicated website or by application to the selling agents.